Our diversity fosters innovation among our community to reflect on ourselves and rethink, the way we think. Our staff and student body is made up of people who belong to different cultural, religious and language groups. We are multicultural and we are proud. Despite our diverse perspectives and philosophies, we share a collective identity and purpose at Newington. 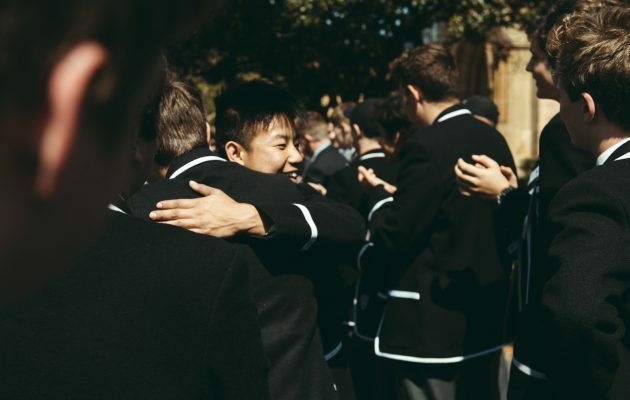 With four Sydney campuses, three in the inner city and one on the lower North Shore, we are blessed to host boys from all over metropolitan Sydney, rural New South Wales and beyond. Newington families tell us they value the opportunity their sons have to embrace an inclusive community and philosophy. As educators we see the power of different perspectives to challenge the way we think and teach. "Newington is diverse, inclusive and progressive. It sets high expectations, standards and benchmarks for the boys and then supports them to achieve these." *In two recent Australian national studies, employers rated the importance of staff being able to work with culturally diverse co-workers and customers at 4.3 out of 5, or 86%. We are a community of learners at Newington. We encourage a dynamic and engaging learning environment for both our boys and staff. Whether it’s through staff-led professional development workshops, peer observation, feedback or research committees, our approach towards education is holistic. We recognise the demands on teachers to be at the top of their game and we support them in their pursuit of further study and improvement. Staff collaboration, support and wellbeing is important to us, and we provide tailored professional development opportunities to equip our staff with the latest tools, systems and knowledge to ensure that there is no compromise made on education. We seek motivated and passionate individuals to join our staff community. All job applications are online. Visit Recruit Pack to apply. While employed at Newington, the efforts of our staff do not go unnoticed. We encourage teaching and non-teaching staff to enjoy our various staff benefits. Head of Year 7 and Science teacher, Ms Colleen Scalone, is just one example of a “good teacher” at Newington College. She is a passionate educator who has been teaching Science for 14 years and she believes that it is her role to “kindle the mind’s fire of each and every student.” One such student, Charlie Papps, exemplifies the characteristics that make a good student. Ms Scalone and Charlie both reflected about what they believe makes the measure of a good teacher or good student respectively. A good student is someone who has a positive influence on the learning environment and those around him; will rejoice equally when they or someone else achieves or understands something, especially a difficult concept and will never look to bring others down or make them feel insecure in the classroom. The criteria I use to assess whether someone is a good student include: motivation and curiosity; established study or work habits; determination; character and moral sensitivity; honesty and respect of self and others. When a student sets and works towards his own learning goals he can transform from a good student into a great student.Charlie is an amazing young man who is enthusiastic and passionate about gaining an insight into whatever we are working on. His enthusiasm in Science is genuine and second to none. He eagerly awaits instruction and assists others who may not understand the concept. He is a leader whose presence brightens the classroom and his enthusiasm is contagious. Charlie’s a safe place for all students to learn and voice opinions without fear. The criteria I use to measure good teachers is how much I learn, how strict they are to boys or students who like to mess around, whether they understand that we have other subjects and won’t set too much homework and how they balance keeping the classroom fun while teaching us things. The reason Ms Scalone is a good teacher is because she fits all the above criteria and realises that students learn by doing hands-on experiments, not copying lines of information from the board. Ms Scalone helps me become a better student because she doesn’t just give us numbers and facts, but gives us activities that relate and show those figures in action. A good student is someone who helps out when he isn’t asked to and who is genuine and respectful. 1 Hattie, J (2009). Visible Learning: A Synthesis of 800 Meta-Analyses Relating to Achievement. Routledge. Whilst the criteria may differ depending upon who you ask, John Hattie, an expert on evidence-based education says the best teachers are passionate people. They love what they teach, they love being a teacher and they love the challenge of helping each of their students learn. The boys feel a strong affinity with being part of a student body that seeks to challenge. 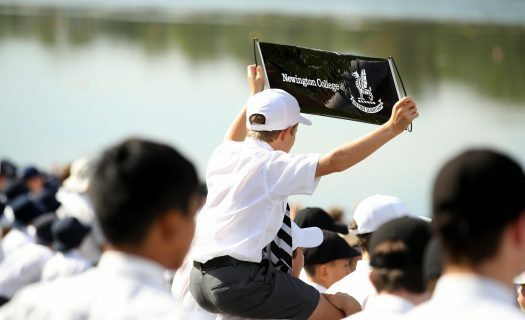 A series of wins in Sport over consecutive seasons in the last five years has had a unifying effect, but not only this, accolades in co-curricular activities such as Debating, F1 in Schools and Fencing has been embraced by the school community and encouraged the boys’ to explore further and discover more. Newington boys are encouraged to try everything – take risks, be creative, and to fill their timetable with commitments and activities offered by the College. Involvement is celebrated; doing more, not less, is the norm and we urge all boys to be supportive of each other when doing this. Signing up for ‘philosophy and rugby’, ‘theatresports and rowing’, ‘choir and woodwork’ has challenged the stereotypes of what it means to be either academically astute or athletically gifted or culturally engaged. Newington loves all permutations of interests and passions.